Trending at $6.05eBay determines this price through a machine learned model of the product's sale prices within the last 90 days. 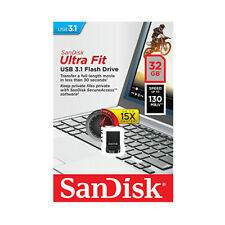 SanDisk 32GB Ultra USB 3.0 Flash Drive. HUGE Storage capacity of 32GB in this tiny, unobtrusive USB 3.0 flash drive. Connect it to hard-to-access TV USB ports for video playback or let it ride along in your notebook or car audio system wherever you go. Capacity : 32GB. interface : USB 3.1. Read Speed : 110MB/s Read, 15MB/s write. Part NO : DT50/32GB. BUY it now Available! Simple, fast way to add up to 64GB of storage to your device. Write up to 15X faster than standard USB 2.0 drives. Move a full-length movie to the drive in less than 30 seconds. Product Part Number SDCZ430-064G-G46. Trending at $14.47eBay determines this price through a machine learned model of the product's sale prices within the last 90 days. Just plug it in and expand the storage of your devices with an unnoticeable, seamless fit. Designed with a key ring to prevent loss. Safeguard your data backed by a 5-year limited warranty (water proof, shock proof, magnet proof, temperature proof, x-ray proof). DataTraveler® 50 is a lightweight USB Flash drive available in capacitiesfrom 8GB to 128GB1. 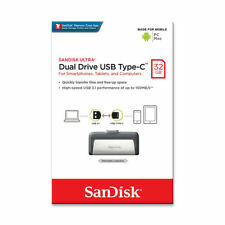 Fast2USB 3.1 Gen 1 (USB 3.0)3performanceensures data transfer of music, video and more is quick and easy. 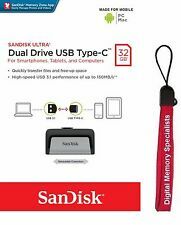 Kingston 32GB DataTraveler 100 G3 USB 3.1 Flash Drive BRAND NEW!! Capacity 32GB. Ideal USB 3.0 storage device. Water proof, shock proof, magnet proof, temperature proof, and x-ray proof. Experience Samsung’s industry-leading V-NAND (64-later) technology. Safeguard your data (Water proof, shock proof, magnet proof, temperature proof, x-ray proof).